In 1999 my mum was unexpectedly diagnosed with terminal cancer. Mum always believed that the world should be a certain way, which was often unfortunately more the way that she would have liked it to have been rather than the way it was. We had many conversations about this, in her 70’s by studying philosophy, literature and religion mum was still expecting the answers from somewhere. During her last three months we spent a lot of time together. She died in a small community hospital with great courage and love. Everyone has to make choices during their lives. There is ‘the what if, I had done this or that, instead’? Maybe our alternative choices exist in parallel universes. I had to choose between art and science, in the end did them both, but I’m not sure that it works. However back in 1999 I was looking for a way to make science relevant to my artwork without the explicit use of scientific imagery. I investigated ideas covering identity, genetic cloning, inheritance and DNA, of doors open and shut, entrances and exits, walls, barriers and language. The result was a double self portrait placed in a discarded damaged mantle piece. I look out towards the viewer but when I look in the mirror is missing and I cannot see myself. The idea of using the scientific concept of ‘degrees of freedom’ came when I decided to play with elements of participation, chance, found objects and video. 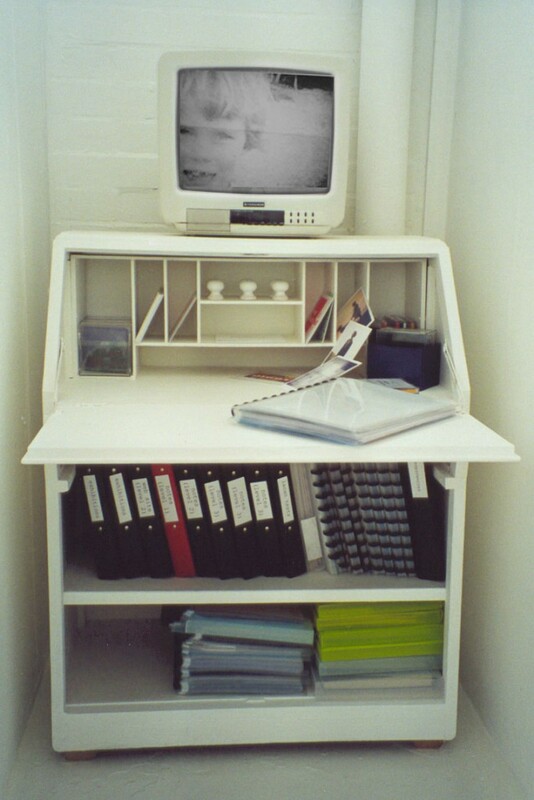 The desk is the repository of white-washed memories, it may be opened or not, as you wish. Actions conscious and unconscious are governed by events that have happened in the past. It is only when these memories enter the sphere of the conscious that informed choices are made. The video represents the vulnerability and uncertainty of childhood and plays continuously on a white monitor on top of a white desk. Curtains cover entrances on either side of the desk you can go to a light space or a dark space, but the video creates an unresolved question by blocking off any information as to which curtain should be passed through. It mirrors the confusing and conflicting situations that have to be negotiated in childhood, and the growth of self awareness. The hospital trolley an altered ‘ready made’. It is in the light space. The shelves are made of mirrors and an open book rests on the top shelf. In hospital the trolley would carry equipment for tending the sick. Here it is changed by the addition of the book and the mirrored surfaces. The images in the book recount real a walk I took each morning when the nurse came in to sit with my mum. The viewer is invited to turn the pages of the book. 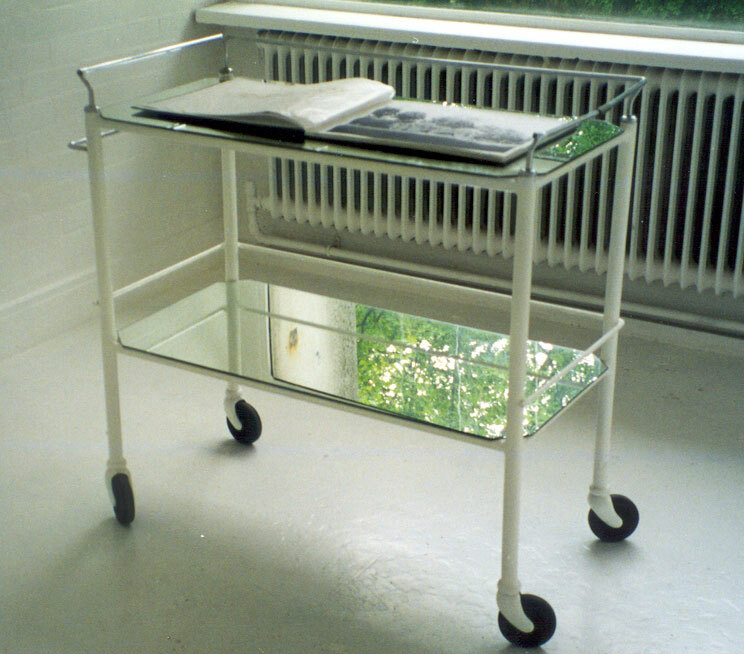 The trolley is placed so that when first observed the outside world is reflected in its mirrored surfaces. The images in the book are simultaneously of the outside and of the inner world. They are of the last walk and also of the first and chart the choices that can be made even when no choices are apparent. The inscription on the front of the book – ‘I shall come to you’ – refers both to the desire for immortality and the universal nature of death. The viewer is invited to select any page of the book that they choose. 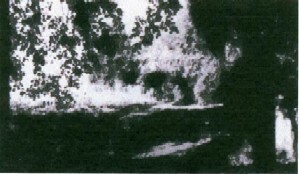 A video camera hanging over the trolley captures the image from the book and projects it into another space, the dark space. 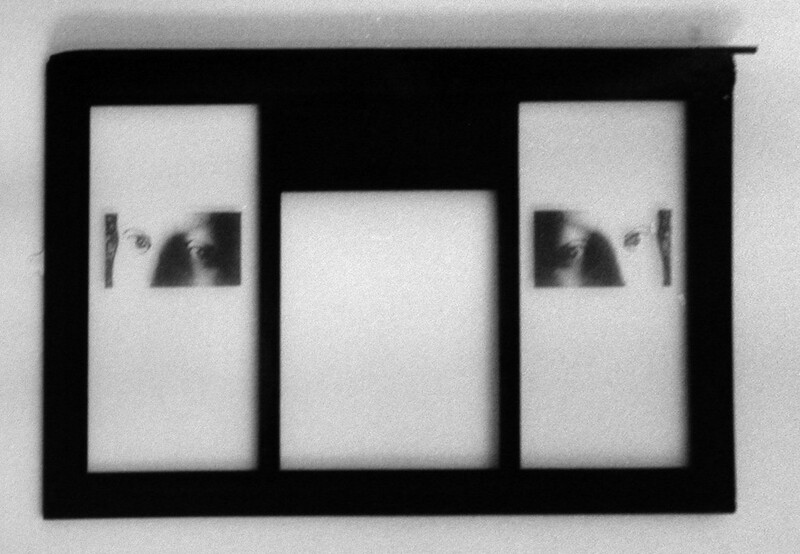 The viewer who enters the dark space has no control over the selection of the images and sees them in a different context to the viewer in the light space. However, the viewer in the light space will have limited knowledge of the displaced consequences of their actions when they turn the pages of the book. The photographs within the book are of a park in Essex designed by Capability Brown. Overlaying the photographs are semi-transparent pages, some are inscribed with lines from a poem. I discovered this poem after my mother had died. 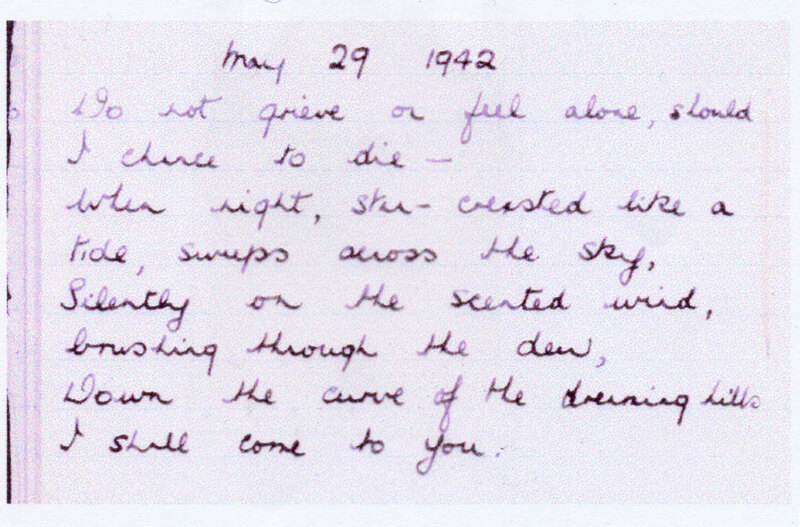 It was one of many copied out by my mother in a small red book, this one, unlike the others, has no author and was titled May 29th 1942. May 29th was my mums’ birthday. 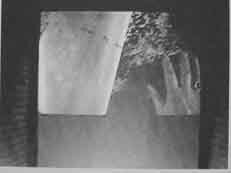 A continuous series of static images of hands turning the pages of the book are projected outside the exhibition space these refer to the operation of factors outside the control of the viewer. The images bear a resemblance to the images over which there is choice, but in reality run to their own pattern. 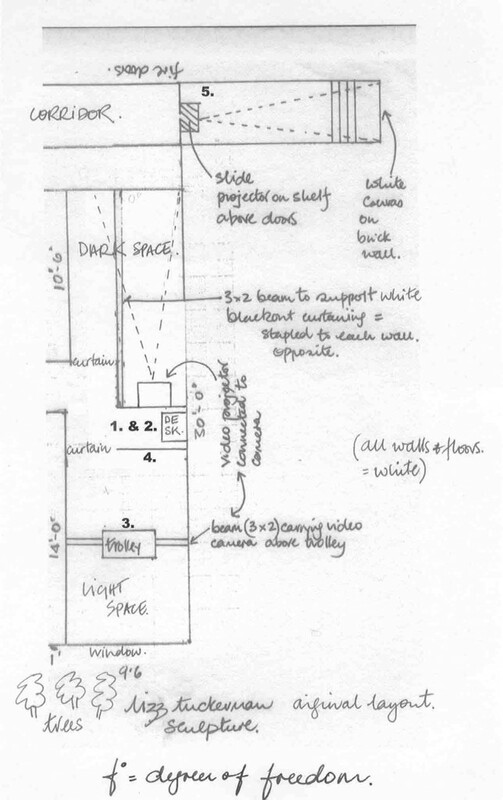 This work has only been exhibited once ….. and the space where it was shown has now been demolished, it is just a cube of empty air.